Get active while sightseeing in Barcelona on this scenic 2.5-hour bike tour. See the city like a local as you cycle through the La Barceloneta district and the Gothic Quarter, pass the landmark Arc de Triomf and glide around the Parc de la Ciutadella. Keep your camera close to hand as you pedal past attractions like the Cathedral Santa Maria del Mar, the Monumental Bullring of Barcelona and the Olympic Village, and enjoy regular stops to catch your breath and snap photos. Vera was an absolute gem with her knowledge and recommendations for places to see, visit and eat as well as the history behind certain places. The bike tour itself was relatively easy --save for certain moments when we were passing by a market and that was really haphazard. 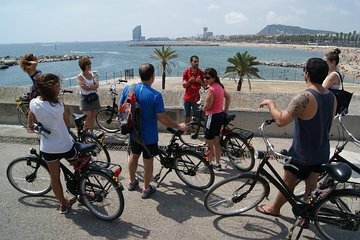 I didn't think it was the best bike tour I've been on I went on bike tour at every country I travel to but if you just want to kill time and get a feel of Barcelona before you head any place of interest on your own, then I think this is a great way to start your Barcelona visit. Our tour guide, Yannis, was very entertaining and had good stories of the history and culture of Barcelona. There were plenty of breaks and stops in between for pictures. We give him a 5-star, but unfortunately, the bike rental shop we give a 1-star. First of all, their bike selection was poor with many in need of repair. After our tour, Yannis said there was a restroom to wash our hands yet when we entered, the lady said yes, just go upstairs, then the male with a beard didn't catch his name abruptly yelled, No!! The lady embarrassingly said, sorry, only for bikes. We were shocked as to the unprofessional attitude and poor customer service. Really liked the tour guide, Yannis, but hated the bike shop.  Nice cheap bike tour from Sandemans. Enthusiastic guide with a love of the city. However it did not visit the most interesting parts of the city. Nice to see the park and beach though. The company provided free ponchos as it was chucking down with rain. This was a amazingly relaxed and informative bike tour we did. Our tour guide Brandon did know a lot about the history and architecture of the places we went to, he did not rush anybody, took the time to explain things on the way and was also interested in the people who joined the tour. If you are planning to go/come to Barcelona I would highly recommend this excellent way to see a part of the city by bike. We choose this tour to get some exercise and a feel for the city on our first day. It far surpassed our expectations. Our guide Vera was outstanding. We learned so much about the history and grander of the city. I encourage anyone who like to get exercise at a leisurely pace and learn about this wonderful city to take this tour. From Arc de Triumf to Barceloneta, via Citadel Park and Poblenou, we had a great 3 hours ride. Jenny, our guide, told us interesting stories and facts about the places we have visited. Riding the bike in Barcelona is quite easy, even the city is full with tourist. If you like cycling, I do recommend to try it. Having Jenny as your guide, for sure it will be a tour to remember. My daughter, Kinneret, and I had the most fantastic time on this bike tour with our lovely and knowledgeable guide, Fillipa. The bikes were a wonderful way to see so much of the city and enjoy the beautiful coastline, as well. It was also a comfortable way for Kinneret, who is 6 months pregnant, to travel, see the city and feel connected - something you don't feel on a bus. We meandered through the streets, parks and neighborhoods as Fillipa stopped often to engage us in interesting and historical stories, pointing out all kinds of buildings and sites, as well as answering our many questions. We could have never covered that much area in 3 hours by just walking and we would not have felt so enriched as we did with Fillipa as our guide! We would recommend this tour to anyone who loves the wind in their hair and the feeling of freedom that a bike gives you! Fue un paseo muy disfrutable, la guía muy amable!! Lo volvería a hacer. Hemos quedado muy contentos con el tour en bicicleta. es otra manera de conocer la ciudad. Great experience Edward was great and kept our son engaged top.